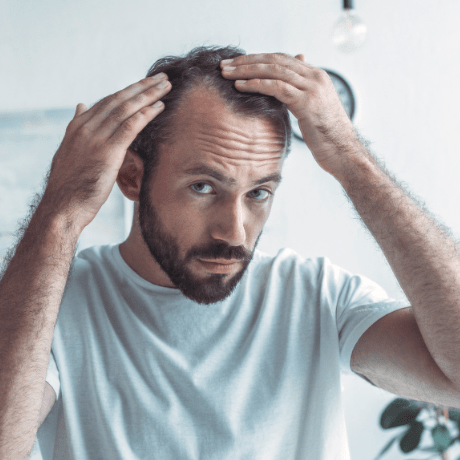 In this blog we go into more detail about the types of hair loss scalp micropigmentation can fix. This covers receding hairlines, bald patches, Alopecia and thinning hair. Scalp micropigmentation is far more visually and cost effective than hair transplants. Not only that, but it lasts for years and does not require a painful surgery procedure. Within a matter of weeks scalp micropigmentation can make your hairline look brand new again. It’s why thousands of men are turning to the treatment to help with their hair loss. No matter what level of hair loss you are experiencing, scalp micropigmentation offers the perfect solution. 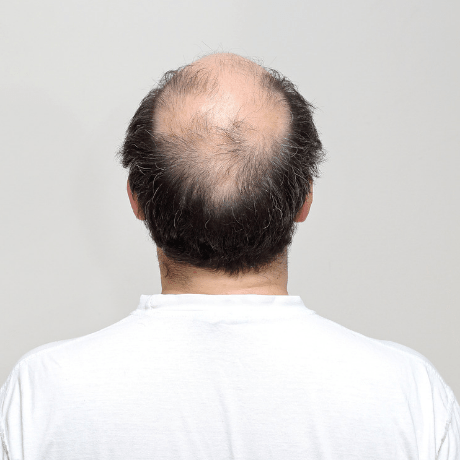 A receding hairline is often the first sign of hair loss for many men. It can heavily effect someone’s confidence, although many men make the mistake of ignoring it. A receding hairline can start at any age. However, it doesn’t mean you will go bald quickly. Scalp micropigmentation helps to redefine the hairline. The treatment creates thicker, fuller looking hair. The crown area of the head in particular undergoes a noticeable change. It stops men from feeling conscious about their hairline and allows them to get on with their lives with far less worry. The great thing about scalp micropigmentation is it can help everyone. Whether you have a few bald patches of hair, or are nearly bald, it can quickly change the way your hairline looks. Scalp micropigmentation doesn’t always mean shaving your hair. Any men with small bald spots can still have the treatment while keeping their current hairstyle. Larger balding spots are ideal for the full scalp micropigmentation treatment which creates a smooth, shaven look all over. Unfortunately there are no medical cures for Alopecia Arreata and Alopecia Universalis. However, scalp micropigmentation provides a fantastic alternative. The treatment can be used to help reduce the visual signs of this type of hair loss. It is the best way to camouflage damage caused by Alopecia to allow sufferers to feel confident out in public. How much scalp micropigmentation will be needed depends on how severe the Alopeica is. 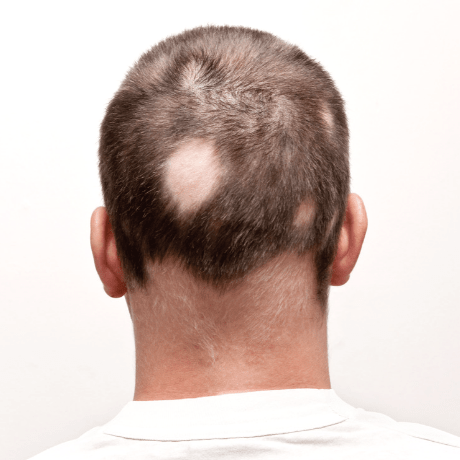 Alopecia Universalis can lead to complete baldness. This means we can create a brand new hairline and hair shape on the scalp if required. It’s just one of many hair conditions that the treatment can help resolve. Adding hair density is one of the biggest benefits that scalp micropigmentation can offer. 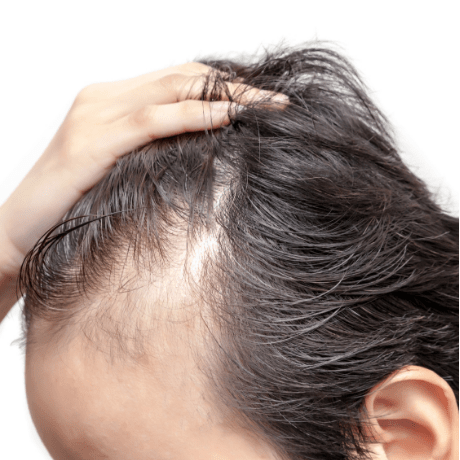 Thinning hair can start anywhere on the scalp. Some men notice it on the sides. Others experience it on top of their head, while it can also appear along the hairline. Scalp micropigmentation can be used to make the hair appear thicker. Applying it to thinning hair removes the areas where the scalp is beginning to show. This helps to create a fuller look right across the scalp. There is no better way to add the appearance of a complete head of hair. The treatment is so good, that after scalp micropigmentation most people are unable to spot the difference.